TL Notes | Some information are worth more than a simple note from the translator. Some information are worth more than a simple note from the translator. Naruto, Conan, One Piece. These are Japanese comics (published as tankōbon) that are currently popular in Indonesia. New publications from Japan become available immediately as part of the line-up of Indonesian bookstores. As Japanese manga market gradually shrinks from declining birth rates, publishers are shifting their focus to Indonesia. Manga is synonymous to “Cool Japan” and will become a large market in the future as new works are continuously imported. This report explores relationship between the the Japanese publishers and the Indonesian audience. Naruto has captured the hearts of children. “Naruto! 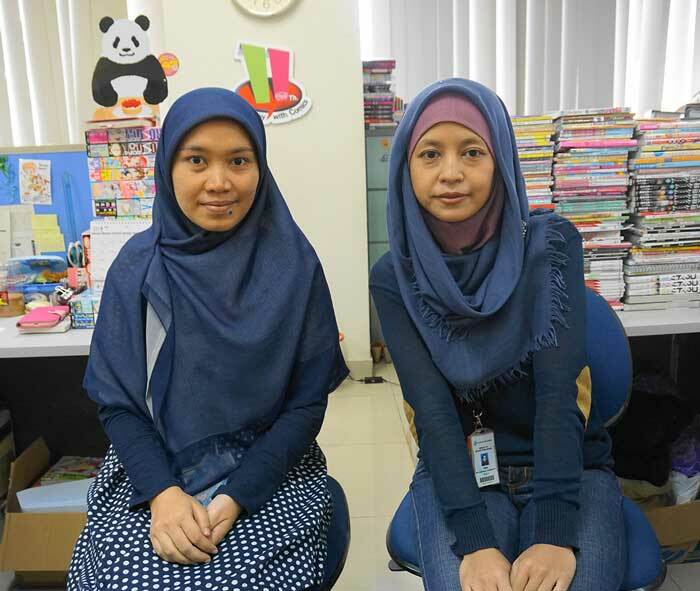 I read this!” At 3 p.m. during one weekday afternoon, we met a group of four children in their third year of middle school at the comic shelf corner of the Gramedia bookstore in Grand Indonesia, Central Jakarta. “Naruto is very cool,” says 14-year-old Aburizal. Each volume costs 18,500 rupiah, but he owns all 65 volumes. Naruto is a popular manga series serialized in Shōnen Jump (published by Shueisha). 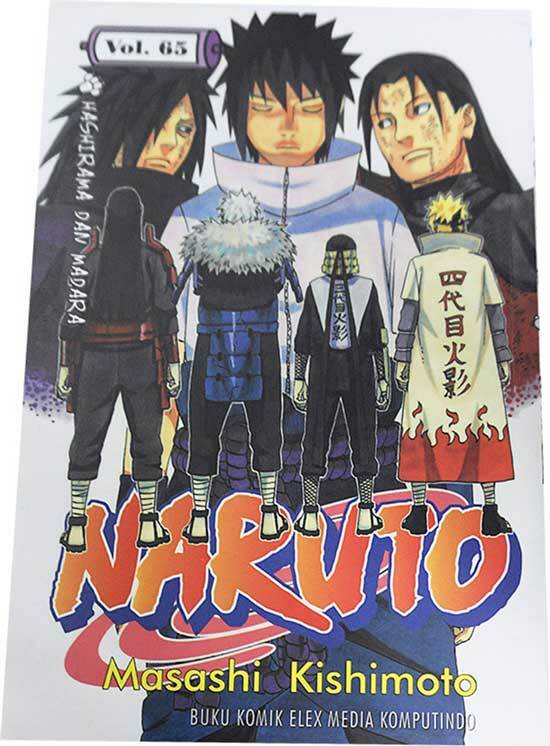 It is a signature piece of the magazine alongside One Piece and tells the story of the orphaned ninja Naruto Uzumaki who joins forces with friends and grows up as they overcome challenges. The series is very popular outside of Japan and has been translated and published in more than 30 countries. “I get excited reading it,” says 14-year-old Narsiwanto. The television anime has also been broadcast in Indonesia. “It’s a bestseller here. There’s high demand for it,” says 28-year-old Hari, a manager at the bookstore. “It’s fun because the title character is a ninja. Its story of friendship and action scenes also make it popular.” The store is under the umbrella of Indonesia’s largest publishing group Kompas Gramedia. About 80 percent of the comics sold here are translations of Japanese works. Similar to Japan, new works are prominently displayed next to each other on a flatbed in front of the cashier. All of the publications displayed are Japanese. Older works are placed on the shelf according to the author’s name, and young customers often browse through these titles. 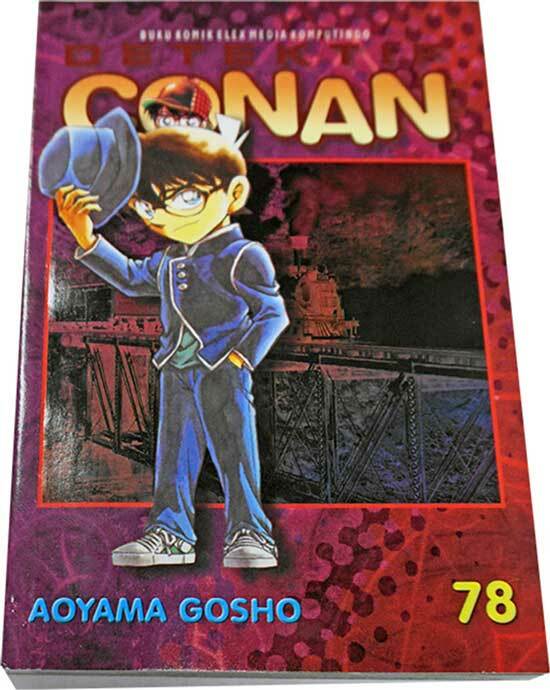 July’s top three sellers are: 1) Conan, 78 volumes (serialized in Japan as Detective Conan in Shōnen Sunday); 2) KungFu Boy, 15 volumes (Ironfist Chinmi, Monthly Shōnen Magazine); 3) One Piece, 74 volumes. As of July 17, Conan has sold 116 individual copies this month. This month’s top-seller is Conan. There is also a small corner shelf with Indonesian comics. These works are closer to picture books rather than comics. Mahabharata, available in eight volumes, has an higher target audience age and sells for 30,000 rupiah each. It is the comic adaptation is a popular television drama series that is currently airing. When one opens the work, the panel layout and big lettering is more similar to American comics rather than Japanese manga. The historical theme is more aimed at adult readers. It does not have an atmosphere that young boys and girls will enjoy. “The quality and quantity of Japan’s manga are the best in the world,” says Wataru Hoshino, editor-in-chief of Bunka Tsūshin, a specialty publication for Japan’s publishing industry. Manga magazines are published weekly, and serializations are compiled into comic books to be sold in bookstores. Publishers identify writers whose works can be commercialized, and creating a unique system to grow the industry. There are many works that have become explosive hits. A compilation book of One Piece published in April received 4 million copies in first printing. Other works such as Attack on Titan and Kuroko’s Basketball have also become big hits in recent years. However, the industry faces uncertainty ahead. There has been no movement in comic book sales in Japan, which totaled 223.1 billion yen in 2013. Manga magazine sales totaled 143.8 billion yen, down from 165 billion yen in 2011 and 156.4 billion yen in 2012. It is expected that the decline in sales of magazines as a source of comics will continue in the future. The target market of young readers has shifted interest to smartphones. This problem is made worse with structural problems of Japanese society such as declining birth rates and aging population. Publishers are turning to overseas markets as Japan’s domestic market shrinks. In the early 1980s, the television anime Dragon Ball and Sailor Moon began broadcasting in the United States, and translation comics began publication. France soon followed. However, according to analysis by the Research Institute for Publications, “there have been visible signs of decline in popularity of manga comics compared to 10 years ago. New works are being translated at the same speed as they are published in Japan, but the growth in the number of readers is not matching that pace.” U.S. and European markets have become steady and mature. Eyes are turning toward China next. Many fans eagerly browse the Japanese comics corner. Japanese publishers have worked with local agents by signing book deals with translation publishers since the 1990s. Kadokawa, a publisher of titles such as Psychic Detective Yakumo and My Neighbor Seki, saw sales in Indonesia “grow threefold between 2012 and 2013” according to its overseas publication sales department. The company owns an 80-percent share of the men’s light novel market in Japan, and it looks to “license not only comics, but also light novels” in the future. Another company, Kodansha, has been licensing its publications for release in Indonesia since the mid-1990s. “Blockbuster works representative of Japan’s magazine system are very popular. The renewal edition of Sailor Moon, which was published last year, has become a favorite,” according to its international rights division. France, North America, South Korea, and Taiwan are the top markets to which Kodansha exports copyright licenses of its comic book titles. Indonesia comes in ninth at 3.4 percent of licenses (2012 data). It varies by the work, but an advance (prepaid royalties) is paid at the time of contract signing for translation and publication. Following publication, about 7 percent of the sales revenue is paid as royalty. “The copyright business provides enormous amounts of revenue for every company. Republication incurs no additional costs. However, when the anime’s airing period ends, the market size in the region where the work is printed tends to shrink,” says Bunka Tsūshin editor-in-chief Hoshino. A new market strategy is needed to expand the sale of Japanese comics in Indonesia in the future. In order for Japanese comics to be translated, placed on the shelves of bookstores, and reach the hands of readers, the help of Indonesian publishers is necessary. Most Japanese publisher have established a relationship with publishing division of Kompas Gramedia Group, Elex Media Komputindo (EMK) and M&C, as a business partner. We visited the editing office that connects the comics industries of Japan and Indonesia. The publishing division of Kompas Gramedia Group is located in a building in Palmerah, Central Jakarta. M&C, located on the 6th floor, has 29 employees who are editors and book binding designers. They primarily edit shōjo manga, and the company publishes 100 new comic book titles every month. Among these, approximately 85 percent are Japanese manga, with the remaining works coming from South Korea, Hong Kong, and Taiwan. “Almost all of our business is with Japanese publishers,” says editor Mustika. Ine checks the manuscript of a translated comic. What does the process flow of translating a comic book look like? In general, the Japanese publisher or agent will sent a catalog of its titles which are no longer serialized. This process is different for works whose serialization are currently ongoing. After the request for a work from that catalog has been submitted, the work begins. Editors then forward a copy of the original Japanese manuscript to external staff responsible for translation of the speech balloons and other text. The document is then printed, and the galley proof is reviewed. Cover design is submitted to the Japanese side in order to verify the balance and color of the title and cover image. The completed work hits the shelves two months after the original manuscript is received. A minimum of 5,000 copies are printed for the first edition, and the number can reach as high as 80,000 copies for more popular titles. M&C’s bestselling comic series, Miiko! However, not all Japanese manga can be printed as is. Keeping in mind the cultural customs of Indonesia, violent scenes and sexual scenes where the skin is exposed are removed from the panel, and revisions are applied. This checking process is important to the work of an editor. M&C’s bestselling work so far is Miiko! (published in Japan as Look This Way, Miiko! by Eriko Ono and serialized in Ciao). It continues to sell 12 years after the original publication. The story’s lead character is a girl in her fifth year of elementary school. “The characters are cute. Many readers say they can relate to the stories, which have school and home settings,” editor Ine explains on the reason for its popularity. According to a survey by the company, readers pay most attention to the story and cover art when deciding on a purchase. 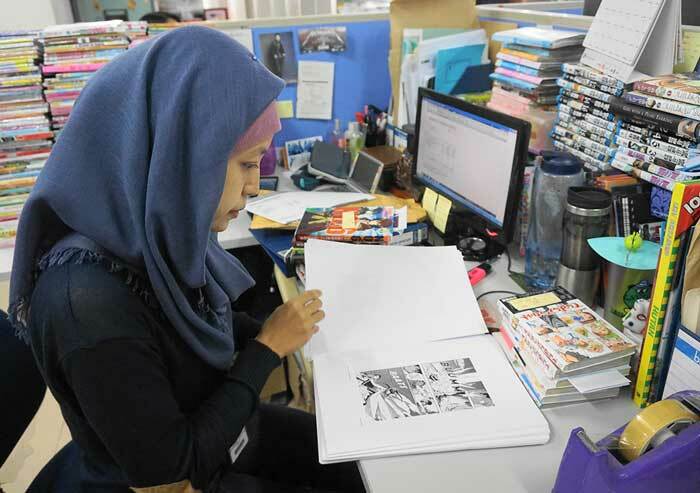 “This is where Japanese manga excels,” says Mustika. Many of Indonesia’s young population are girls, and because of that the popularity of comics aimed at girls are quite high. What about shōnen manga? Comics aimed at boys are managed by EMK. The company has published translations of Japanese comics since 1991. It adapts the blockbuster titles Naruto and One Piece, as well as the now-popular Attack on Titan. Rois, editor at EMK, chimes in. “Readers have been familiar with broadcasts of Japanese anime since they were children, so there is no animosity toward Japanese comics. When talking about Japanese comics, they give very positive feedback.” Joining the company seven years ago, his task to publish two new books every week. As a manga fan himself, “it’s important to choose which works will be adapted to be sold.” In order to make up for the upcoming Lebaran holidays, “it’s been troublesome because the printing deadline has been moved earlier, and the publication schedule had to be adjusted,” he laughs. M&C and EMK publish the majority of comics translated from abroad. There is also a division in the group that sells domestic comics from Indonesia, but it does not generate many sales. Development of domestic writers is a challenge for the future, but there is currently no newcomer discovery and training system such as the ones Japan publishers have established. “I look forward to the development of domestic writers,” says M&C’s Mustika. There are an increasing number Indonesians who want to transition into creators from readers and become manga authors. Last month, Manga Pro Class was opened at Ambassador Cafe in Blok M, South Jakarta for the purpose of training professional manga authors. Another workshop IkuZo! also opened in West Jakarta last month. Instructions are led by Japanese former manga editors, teaching the know-how of creating comics. As Indonesia attracts attention as an upcoming large market of comics, 12 of Japan’s major publishers of comics publications will come to Indonesia in late October. Between October 31 and November 9, Manga Festival in Indonesia will be held in the capital city of Jakarta, featuring planned exhibition of manga content and autograph events with manga authors. “It will be a place to showcase the appeal of Japanese comics,” says the Executive Committee. “Manga is one example of Cool Japan content that the nation can be proud of,” according to the Ministry of Economy, Trade and Industry, which is co-sponsoring the event. “Considering the market size, Indonesia has a lot of growth potential,” says METI’s Media and Content Industry Division. Publishers’ strategies are not limited to the current translation business, but also expanding toward licensing rights for using manga characters in the future. Anime adaptations, sales of licensed goods, and the opening of additional manga schools are also expected. “In order to further grow a more mature reader market, broadening the manga culture is important,” says Bunka Tsūshin editor-in-chief Hoshino. Personally, I think translating something is a marvellous and enigmatic art. One of my cousins say translating isn’t appealing because it’s “not logical”. I presume he means there is a lack of a one-to-one correspondence. Which would be wholly correct. The interplay of nuances, connotations, or feelings that something may evoke all come into play; what sounds right in one language may have a wonderful corresponding pair in an entirely different form. I hope everyone’s enjoying the end of the summer anime season. Let me know if there’s a show you find particularly interesting. Summer has been filled with the historically heartwarming Ikoku Meiro no Croisée (which I covered in an earlier post) and the mystically suspenseful Dantalian no Shoka (which I will cover when we come closer to its completion). These two shows have a fair amount of history, a topic which dominated this season’s anime that can be related to real world circumstances. While history can be interesting, it can get boring after some time. The autumn anime season, on the other hand, promises to be an interesting one for this blog as we seek to explore real world themes in three new series. This time around, we will also have something other than history to discuss, including literature and sociology. First up is a noitaminA series from the animation studio Bones, who previously brought us hit noitaminA shows such as Jyu-Oh-Sei (spring 2006), Tokyo Magnitude 8.0 (summer 2009), and more recently No. 6 (summer 2011). Shows aired on Fuji Television’s noitaminA (Animation spelled backwards) programming block are targeted beyond the standard male demographic of anime viewers. UN-GO promises to satisfy its viewers with a breath of mystery in a futuristic setting. This is not merely a work of science fiction, however, as UN-GO seeks to adapt the work of novelist Ango Sakaguchi, specifically the short story “Meiji Kaika Ango Torimonochou” (明治開化安吾捕物帖). Sakaguchi’s work follows the Meiji period (1868–1912) detective Yuuki Shuunjirou, whose name is also used for UN-GO’s lead character. The anime series title is an alternate romanization for “Ango” in the title of Sakaguchi’s work. 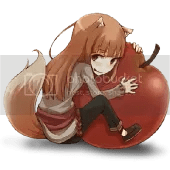 Unfortunately, we are not able to read the full story freely because it is still in copyright, but Japanese readers can read the author’s introduction as provided by the Aozora Bunko digital library project. 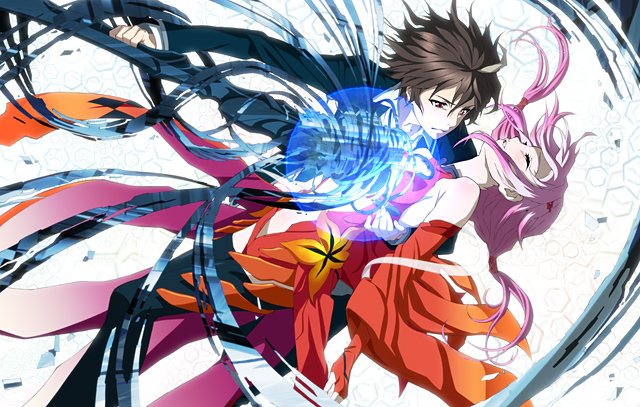 Guilty Crown is the fulfillment of Fuji Television’s promise that it would bring back two-cours anime in the future. It will be the first noitaminA anime to span two programming seasons since the horror anime Shiki (summer and autumn 2010). Producing this series is Production I.G, another heavyweight studio which previously brought us Library Wars (spring 2008), Eden of the East (spring 2009), and more recently Usagi Drop (summer 2011) on noitaminA. Told in a post-apocalyptic setting, the series begins in 2039 Tokyo which was recovering from the effects of a mysterious virus. Like many stories discussing life in the near future, discussions of utopian societies emerge when the government seeks to control the lives of its citizens. 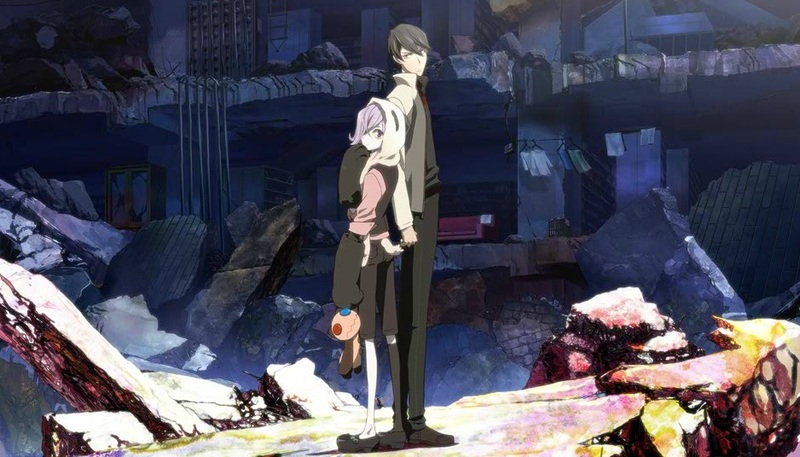 While the sound and visuals of Guilty Crown already appear promising, this will also be a series to watch for its discourse on utopia as well as individualism. Animation studio Gonzo returns from the brink of bankruptcy with an adaptation of its own highly acclaimed 2003 series Last Exile. Designated as its 20th anniversary project, Last Exile: Fam, the Silver Wing seeks to recreate the success of its predecessor with stunning 3D visuals and musical direction. Gonzo was a major player in the introduction of steampunk and military themes in anime. 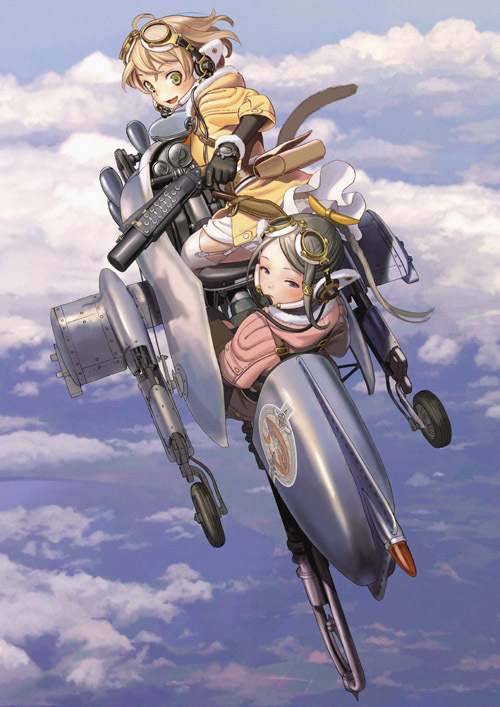 While the universe of Last Exile appear almost entirely fictional, Gonzo employs production designer Makoto Kobayashi, who is known for his extremely detailed design work, and character designer Range Murata, known for his unique futuristic outfit designs. The result is a painstakingly crafted universe which delves deeper than the eye can see. Character names are often drawn from true historical figures. Militarism and the right of self-determination will be the primary subjects of interest in this series as it explores how a small kingdom and a band of sky pirates make their stand against a militaristic nation. Today marks the release of the 8th volume of Twin Spica by Vertical in North America. This manga series, although science fiction in setting, has been described as anything but. It has been described as a realistic slice of life story, a heartwarming coming of age story, and even a drama with romantic elements. Although reviewers will agree to disagree on the categorization of its genre, they can all agree that Twin Spica rekindles the romance of spaceflight that has seemingly been lost over the past decade. Twin Spica, at the time of its writing between 2001 and 2009, was a future history manga series, seeking to outline a realistic progression of historical events that could occur in the near future regarding Japan’s space program. The earliest future date it included was 2010, which made it very timely for Vertical to have licensed the manga and released it last year. Unfortunately, Japan’s first venture into human spaceflight ends in tragedy. Its space program is restarted in 2024 after an extended period of national mourning. Japan is a nation that has known and overcome many tragedies, from earthquakes and tsunamis to becoming targets of atomic bomb attacks. Even in the wake of the Tōhoku earthquake and tsunami, we have witnessed profound determination among the Japanese to return to their daily lives. This is no different from the characters of Twin Spica who have been affected by the failure of Japan’s first manned rocket. For main protagonist Asumi Kamogawa, her entire life has been overshadowed by that tragedy. Since the manga began in 2001, Japan’s space program has changed dramatically. The Japan Aerospace Exploration Agency (JAXA) did not exist then and was only formed in 2003. At the time, the space program under the National Space Development Agency (NASDA) was facing mounting criticism after two successive launch failures of its H-II rocket. In fact, one can find similarities between the design of the H-II rocket and the “Lion” rocket in the manga. Under JAXA, Japan’s space program was given a new lease on life. In the eight years since its organization, JAXA has seen several successful missions. Its ambition is very clearly reflected through its vision for 2025. Although Japan is a technological nation, it is also a human nation. It takes pride in aligning its technological advances for the betterment of human society. The science fiction genre has historically been defined by the Western space opera, but recent Japanese works such as Twin Spica, Planetes, and Saturn Apartments have given the genre new meaning. Twin Spica received JAXA’s endorsement when it was adapted for a live-action television drama in 2009, and its story was updated to be as realistic as possible in depicting training for space missions. Space remains a mystery, and we can still be captivated by it, just as the world was captivated by the Hayabusa probe when it successfully returned asteroid samples in 2010 after a seven-year mission. Over the weekend, the Space Shuttle Atlantis sped toward space in the last flight of a space program that has symbolized the romance of space for two generations of Americans and people around the world. In its 30 years of existence, the Space Shuttle and its regular launches made space seemingly easy to reach toward the end of the 20th century. It seemed we have lost the romance of spaceflight because we had come to take the Space Shuttle launches for granted. The end of the program, however, should be a way to rekindle both the romance and our awe of spaceflight. This is especially true for nations with up-and-coming space programs such as Japan. As the summer anime season begins, one of the highly anticipated series is Ikoku Meiro no Croisée. Set in the waning years of 19th-century Paris, the anime adaptation of the manga by Gosick illustrator Hinata Takeda proves to be a gorgeous and heartwarming tale of cultural exchange. Yune’s arrival in Paris is met with curiosity by French locals, as it is likely that none of them has ever seen an oriental person before. Little do they know that the opening of Japan in 1868 when the Meiji period began would begin an era of oriental presence in Europe and around the world. Although Japan has entered a period of modernity, its culture was still considered traditional by western standards. One example is blacksmith Claude’s extreme surprise at the formality that Yune shows to him. Although formalities exist in 19th-century Europe, when the aristocracy was still a powerful class, Japanese formality was unlike what Europeans had seen. Bowing one’s head is a custom that explains the person’s relation to another. For example, when facing the Emperor, one must put his or her head at a position lower than his. This indicates the Emperor’s supremacy above all his subjects. Thus, the custom is carried throughout society such that a person of lower status must lower his or her head to a person of higher status. European forms of respect generally revolve around restricted speech, such as the use of aristocratic titles to address the respected person. The new water teahouses, which began to proliferate in Edo during the 1740s and reached the height of their popularity at the end of the century, were much more exuberant places of entertainment. Like the shooting galleries, the teahouses employed women. Young “signboard girls” (kanban musume) stood outside on the roadway, where they displayed advertisements, implored passers-by to venture in for a cup of tea, and sometimes even physically dragged potential customers into the shops. 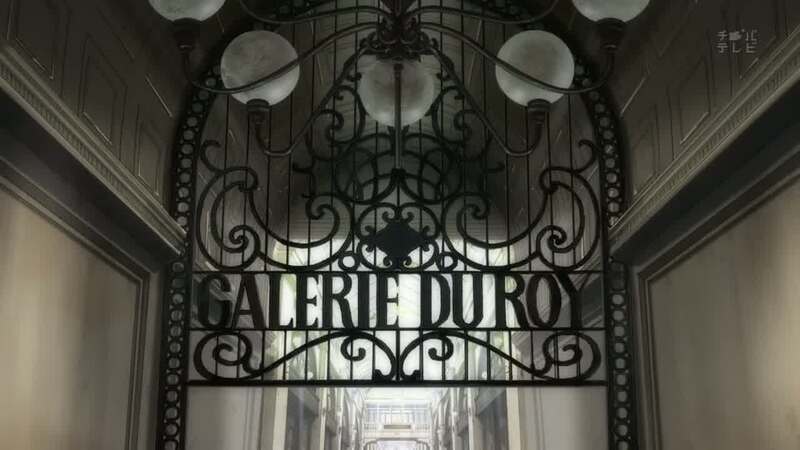 I had initially been curious whether or not the “Galerie du Roy” is a real location. As it turns out, such a location does exist, but it is located in Brussels, Belgium. 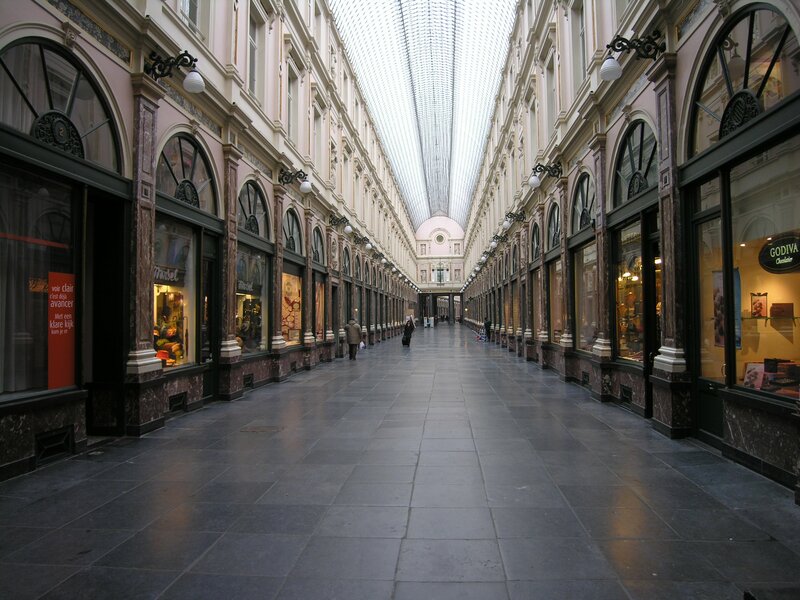 The actual Galerie du Roi (King’s Gallery) is part of the greater Galeries Royales Saint-Hubert (Saint-Hubert Royal Galleries) shopping arcade complex. Arcades, architecturally defined by the succession of arches supported by columns, were popular in the 19th century. The Galeries were inaugurated in 1847 by King Leopold and his sons. In 1896, the Galerie du Roi became the birthplace of Belgian cinema when cinematographers brought moving pictures from Paris. One can also view a virtual 360-degree view of the location. Why was the location transplanted from Belgium to France? We don’t have a definitive answer, but we can speculate. Compared to the Belgians, Franco-Japanese relations date back to the early 17th century. When the Meiji period brought the world into Japan, the French became a key Japanese partner to modernizing its military and legal structure. Therefore, it would be no surprise that French merchants such as Oscar Claudel would occasionally travel to Japan. Perhaps the lack of an iconic structure such as the Galeries prompted Takeda to transplant the building to its Paris location. Assuming that the timeline of the anime is correct, Claude’s claim that his grandfather began the blacksmith shop 50 years ago when the Galerie opened would mean that the series is set around 1897. Human’s relationship with nature and the gods of nature (kami), continuity and change, the bitter-sweet awareness of the transience of beauty, life and love (mono no aware) and the struggle between and accommodation of old and new, good and bad are recurring themes in Japanese art and literature. The Borrower Arrietty, which premiered in Japan in July 2010, is the most recent of such films carrying themes around nature–human relationships. It adapts the 1952 children’s book The Borrowers by U.K. author Mary Norton, who won the Carnegie Medal for Literature for its publication. The original book continued with three sequels telling the adventures of a family of miniature people who repurpose items from human households. The film will premiere in the U.K. in August and in the U.S. next February. Upon exploring the life of Arrietty’s family of Borrowers, viewers immediately wonder if there are other families like hers in the new setting of modern Japan. It is later revealed that while there are other Borrowers, there is little communication among families and individuals. Arrietty’s family comfortably lives under an old home in the western Tokyo suburb of Koganei . However, they should be considered semi-nomadic, settling only where they can live sustainably for a period of time and moving on when conditions become unfavorable. Sho, the boy who is temporarily residing in the house, tries to befriend Arrietty. In the process, he sees the Borrowers as an “other” group, whose lives have been disturbed by human actions. When Sho describes the Borrowers as a “doomed species”, viewers are immediately made to realize that the Borrower population, through no fault of their own, are slowly declining. Habitat fragmentation is a common concern among environmentalists studying habitat degradation because it affects biodiversity. Human development projects can alter the landscape of a natural habitat in ways we cannot imagine. Continuous landscapes are broken up into isolated fragments through the clearing of wildlife. In the case of the Borrowers, their community becomes isolated pockets with no means of contacting one another. Only coincidence would allow one group to meet another, such as the case in the film when Arrietty’s family meets Spiller. The construction of this premise would not have been possible if the setting of the story were not transplanted into Japan, which has many more rural (agrarian) communities than Britain, which entered the industrial age early in the 19th century. Japan’s traditionally rural history is a perfect setting to depict a community being pushed out of its natural habitat. Imagine a time when Japanese homes—originally constructed out of natural materials such as wood and bamboo—could have housed miniature people such as the Borrowers. When their ideal habitat becomes fragmented due to urban development and the construction of concrete roads and buildings, whole communities would be broken apart. Continuing urbanization means shrinking patches of habitat, with each pocket slowly dying out without a way of receiving help from others. All this would happen without the knowledge of the humans who have not seen them. For those Borrowers who come into contact with humans, they can be misunderstood as “thieves”, equating them to wildlife that encroach upon human habitat when instead we are the ones who encroach upon theirs. While Ghibli’s previous films often used a spiritual personification of nature to convey a message about the human way of life, The Borrower Arrietty does not. Instead, the community of the miniature Borrowers—albeit fantastical—represents real living beings who must define their relationship with humans. The portrayal of a human story to species extinction makes the film’s message much more profound. Because the Borrowers themselves have human characteristics, one can more easily empathize with their plight. As viewers, we begin to view ourselves as the enemy of nature. Historiography is the study of the narrative of history, interpreting how events are analyzed by sources, rather than directly analyzing the event. In Gosick, one could say that Victorique de Blois is a historiographer in her own right. Her “wellspring of wisdom” has the ability to vividly reconstruct events given only their “fragments of chaos”, or simple pieces of the entire story. It is also said that history repeats itself. The Marquis de Blois wants to take advantage of this ability to plan political maneuvers that will produce his desired outcome. 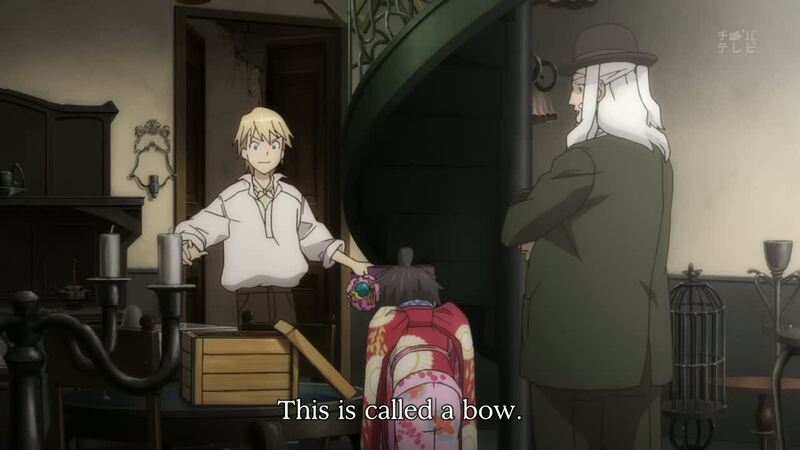 Because Gosick has a historical setting, we are able to make direct comparisons between it and our world. The main plot occurs in 1924 and 1925, at the peak of a period normally called the “Roaring Twenties”, when outlook for the future following the Great War seemed bright. Attitudes of characters early in the story of Gosick seem to match the optimistic outlook during this period. Saubure, a small kingdom tucked in the western Alps between France and Italy, emerges out of the Great War victorious as part of the Allies. In our world, this would be the continental remnant of what was the Kingdom of Sardinia before it was split between France and Italy. Saubure enters the 1920s as a European power with ties to the rest of the world, including Japan, which was also part of the Allies. These are the circumstances which make it possible for Kazuya Kujo to enter Saubure as a student. Parallels can be drawn between Saubure’s political developments in the interwar period and Japan’s rise to militarism. Nationalism plays a role in the desire for both Saubure and Japan to enter the 1930s as a world power. It is no coincidence that both Saubure and Japan, which were part of the Allies, show leanings toward expansionist policies employed by the Axis powers immediately prior to World War II. The appointment of the Marquis de Blois as Prime Minister of Saubure also mirrors the rise of Italy’s Benito Mussolini, whose prime ministership during 1922–1925 eventually gave way to a dictatorship. Mussolini described his government as simultaneously “revolutionary” and “traditionalist”, much like the Marquis’ revolution which shows signs of (manipulated) populism yet maintains Saubure’s monarchy. There is, however, a level of ambiguity in the setting of Gosick that may confuse viewers, thus leading many to believe that the circumstances leading up to a second world war have fundamentally changed. Kazuya Kujo is described as being deployed in the ambiguous “north”. Assuming he trains with the Imperial Japanese army, there is speculation that he is in Japanese occupied territories of either Siberia or Manchuria. Both scenarios are possible but do not match the timeline. Japan’s presence in eastern Siberia during the Russian Civil War ended in 1922, and the occupation of Manchuria did not begin until 1931. There was no indication of major Japanese presence directly north of Saubure’s fictional location during the interwar period. The Marquis de Blois is mentioned having discussions with the German envoy in 1925 regarding interests in Poland (which made territorial gains from Germany’s losses following the war). While it is true that Germany still did not recognize its boundary with Poland as of 1925, there was no indication of military buildup as suggested in Gosick until Germany began expanding in the 1930s. Gosick can ultimately serve as a metanarrative of Japan’s interwar history. Japan’s feudal system and Saubure’s aristocracy give way to a military state driven by strong political figures. Propaganda becomes a weapon employed by Japanese nationalists and Saubure’s Ministry of the Occult. Since their first case aboard the Queen Berry, Kazuya and Victorique become fully aware that the world has been profoundly impacted by the Great War. 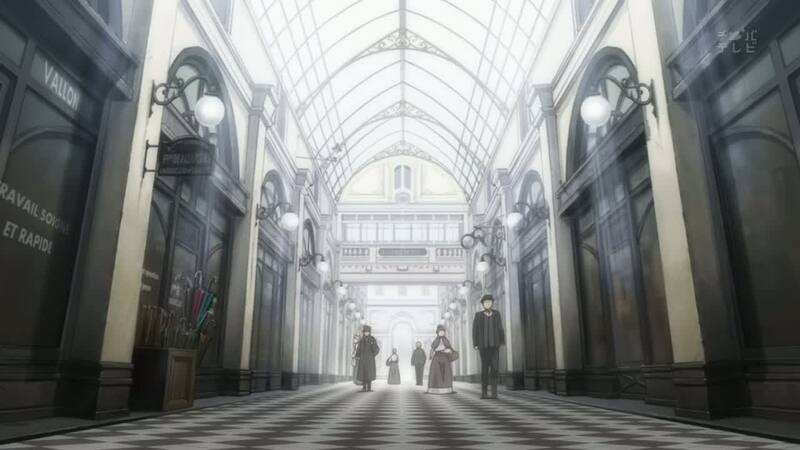 Although Gosick may seem like a normal mystery story, the Queen Berry incident begins a chain of events that trap both Kazuya and Victorique in the complex web of political intrigue of the interwar period. A blog exploring the context of material presented in manga and anime by relating it to real world circumstances.